The corporate media has recently portrayed a narrative where we see the West apparently warning Israel against a unilateral attack on Iran. It appears that Israel is intent on “going it alone” despite the wishes of its “more rational” Western sponsors. Recently, the Wall Street Journal reported in their article, “U.S., Israel Pull Closer on Iran,” that, “Israeli officials, meanwhile, said that President Barack Obama’s public and private acknowledgment of the Jewish state’s sovereign right to defend itself was a crucial gain as the two countries seek to deter Tehran,” in regards to Iran’s alleged nuclear program. To the average reader, it would seem that both the US and Israel agree that Iran is an imminent threat against which Israel and the United States simply have differing views on how to counter. 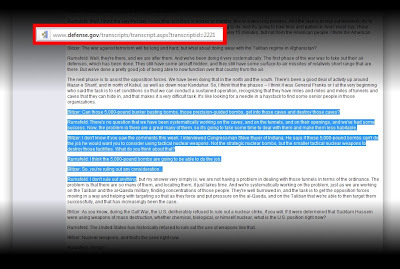 In reality, this is a premeditated, deceitful act, already clearly articulated since 2009 in a signed document, on how both nations plan on duping the world into accepting an unnecessary war. The document, “Which Path to Persia?” published by the corporate-funded Brookings Institute, and signed by Kenneth Pollack, Daniel Byman, Martin Indyk, Suzanne Maloney, Michael O’Hanlon, and Bruce Riedel, who often make their way onto corporate-media networks as “experts,” clearly states that Iran is neither reckless nor likely to deploy nuclear weapons in any way but as a deterrence to Western-led military intervention. The fear is not of waking up one day to a nuclear holocaust with Israel “wiped off the map,” but rather waking up one day and realizing the US and Israel no longer hold uncontested hegemony across the Middle East. On page 24 of the Brookings Institute report, it is stated, “most of Iran’s foreign policy decisionmaking since the fall of the Shah could probably be characterized as “aggressive but not reckless,”” before adding the baseless caveat, “but Washington cannot categorically rule out the possibility that there are truly insane or ideologically possessed Iranian leaders who would attempt far worse if they were ever in a position to do so.” Such a comment could be just as easily said about US leadership, where Defense Secretary Donald Rumsfeld and Congressman Steve Buyer of Indiana at one point suggested the use of nuclear weapons in Afghanistan against cave-dwelling militants using 30 year-old Soviet weapons. 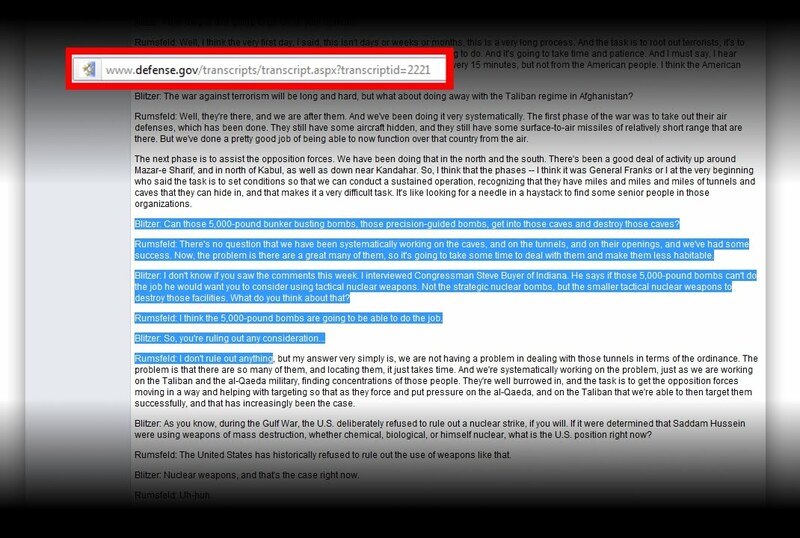 Other US think-tanks, including the RAND Corporation , in assessing the threat of a nuclear Iran, noted that Iran has had chemical weapons in its inventory for decades, and other reportsfrom RAND describe the strict control elite military units exercise over these weapons, making it unlikely they would end up in the hands of “terrorists.” The fact that Iran’s extensive chemical weapon stockpile has yet to be disseminated into the hands of non-state actors, along with the fact that these same elite units would in turn handle any Iranian nuclear weapons, lends further evidence to the conclusion that Iran poses a risk only to US-Israeli hegemony, not their national security. The US withdrawal from Iraq is being done in tandem with NATO operations to destabilize Syriaand in turn disrupt Hezbollah’s capacity to retaliate against Israel in the event of a strike on Iran – a concern also duly noted within the Brookings report. It is quite clear that eliminating Syria entirely as an obstacle has been instead attempted, and with NATO standing by and a continuous influx of foreign fighters being armed and sent across the border to mire Syrian forces in asymmetrical warfare, any coordinated retaliation against Israel by Syria, Iran, and Hezbollah has been at the very least blunted significantly. John McCain, who chairs the US State Department-funded International Republican Institute,credited by the New York Times for fueling the “Arab Spring” unrest to begin with, is now calling for US airstrikes on Syria to speed this process up before Russia’s Vladimir Putin begins an expected process of rolling back Wall Street-London gains over the past year. 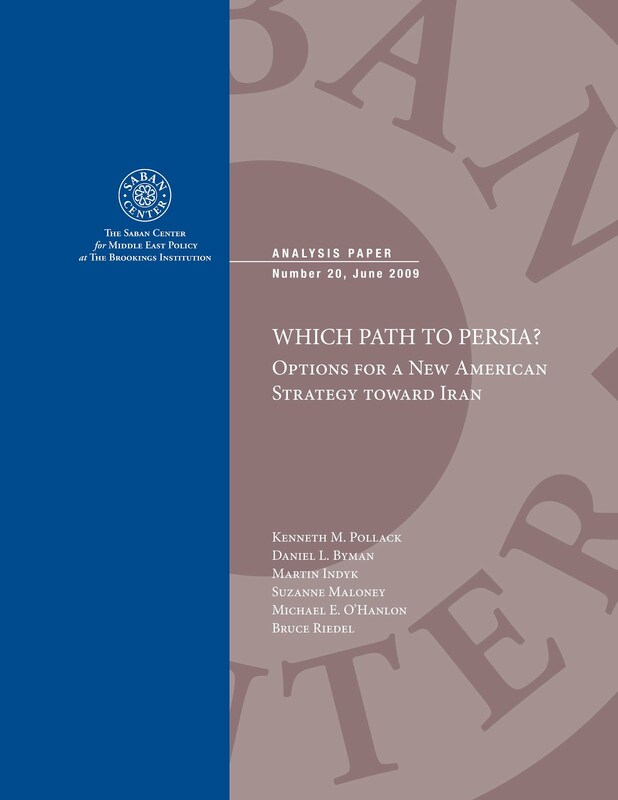 The recent charade played out by both Israel and the United States in regards with “what to do about Iran,” is merely premeditated playacting, carrying out the directives clearly laid out in the Brookings Institute report, which have been systematically carried out, verbatim, even as it was being published in 2009. There is no real bifurcation between the West and Israel, only an attempt to compartmentalize responsibility for an unwarranted, unjustified, and ultimately unpopular, criminal act of war that may end with millions maimed, killed, or otherwise affected. We are witnessing an open conspiracy to commit vast crimes against humanity playing out before our eyes, and it is our daily capitulation, our daily sponsorship of the corporations and financier interests driving this abhorrent agenda that allows it to continue on in earnest. Simply “protesting” a war long since decided will not be enough. We must also strike at the very source of power behind Wall Street and London, and it can be done with an act as simpleas exposing and boycotting the corporations and financier interests which constitute this murderous global menace.